ARC c1 Reserve Form 5 Introduction — DAYLIGHT CYCLE CO.
Rider’s Ready! Watch the Daylight! 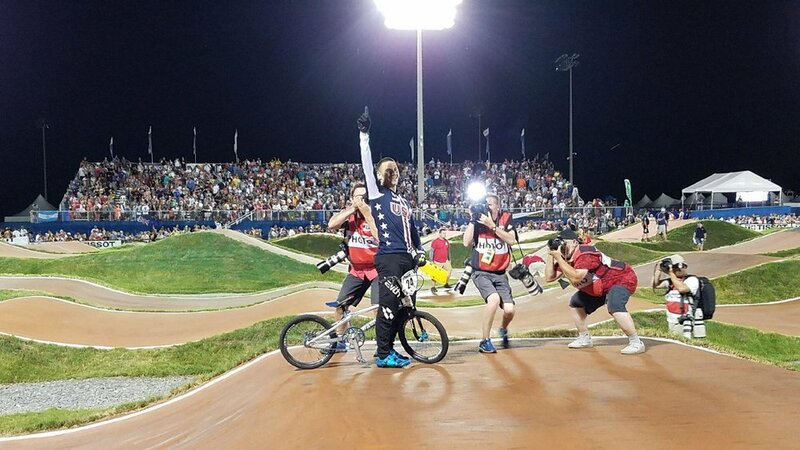 This is where you can create the Daylight BMX ﬂying machine you’ve been dreaming about. Our frames are hand-built and hand ﬁnished, one at a time, to be the recognized ﬁnest in the racing world, for the most important racer in the world... YOU! Currently taking orders for frames/complete bikes in stock, ready to paint/build—and accepting reservations for Production Lot #5 due this Spring 2019. While most of our frames are made to order, we produce additional frames in each lot and may have the frame you are looking for in stock. Please continue to fill out this reservation form and we will notify you the availability. Please note our new pricing effective June 1, 2018. Frames that have been deposited before this date will remain at the introductory price. Filling out this form does not obligate you to purchase a frame. Once you have reserved, we will send a deposit invoice, usually within 72 hours, which when paid will guarantee your frame from this production lot. Please note that deposits are non-refundable 72 hours after they have been received and your frame has been reserved. Our premium and proprietary aluminum tube set is hydro-formed, with tube walls that are internally tapered and multi-butted to create the lightest, stiffest, and strongest framework for your Daylight. Each tube is hand-coped or cut to our precise pattern so they can be joined together with virtually no gap between parts. This is a painstakingly slow and arduous process, even for our craftsmen builders whose experience amounts to a staggering 50,000+ hand built bicycle frames. Welding is completed on a proprietary three dimensional jig or fixture that allows us to lay down beautiful, uninterrupted welds around every major frame junction. No gussets are required on the Daylight ARC c1. Heat treated to T6 specifications and artificially aged in ovens to insure performance longevity, we then finish each frame by returning it into the mill where the interior BB shell is finally machined to insure perfectly concentric and aligned bearing bores. The head tube is hand reamed and once final inspection is complete the frame moves into our ceramic paint or polishing process where we offer some 400 color combinations and premium design concepts to choose from—virtually whatever you can imagine! Why ceramic? It is exponentially lighter and more durable than paint and powder coat, with a rich satin finish that is uniquely Daylight! Even the graphics are painted into each ceramic frame, as well as other design elements, utilizing a stenciling process that—like our metal fabrication—requires genuine craftsmanship to create stunning works of functional art that is each and every Daylight ARC c1. As every Daylight frame can accommodate our disc brake drop out/mount, and as every frame now comes with internal brake line routing on both the top tube and the left rear seat stay, the only decision you need to make is whether to order your frame with or without V brake mounts—and in the case of a frame that has V brake mounts, which drop-outs you want. Ready to build yours? Let’s get started! Please select any combination of one Main Color and one Graphics/Parts Color from the lists below. This is a 100% ceramic painted ﬁnish. No decals used. These are 100% ceramic painted finishes. No decals used. * Inquire about other custom flag designs to represent your country, state or province of choice. * Inquire about color options for Camouflage, Battleworn, and ArcPrism finishes. * Call to see photos of any of our designs, or to discuss a unique design just for you. * Custom ceramic painting for parts available. These frames are high polished to a mirror luster and ﬁnished with a ceramic clear coat. Please select the color decal you would like over the clear coat finish. 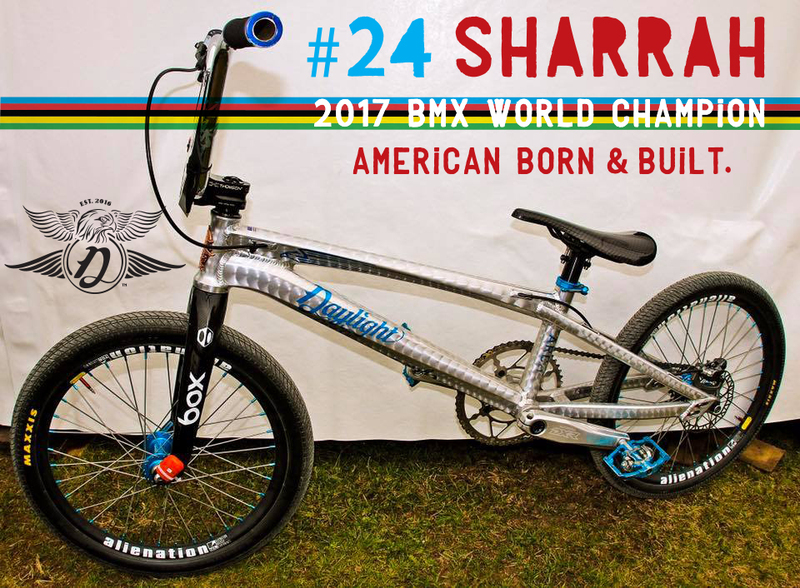 Ultra-high polished and then engine-turned with an overlapping pattern of brushed “spins”, each ArcTurnd Signature Sharrah frame shimmers with over one thousand appliqués—each measuring precisely 24mm in diameter in honor of one of this generation’s greatest BMX racers—#24! The ArcTurnd will only be available in very limited numbers each year. Call us to discuss details of this very special frame and immediate collector’s prize! 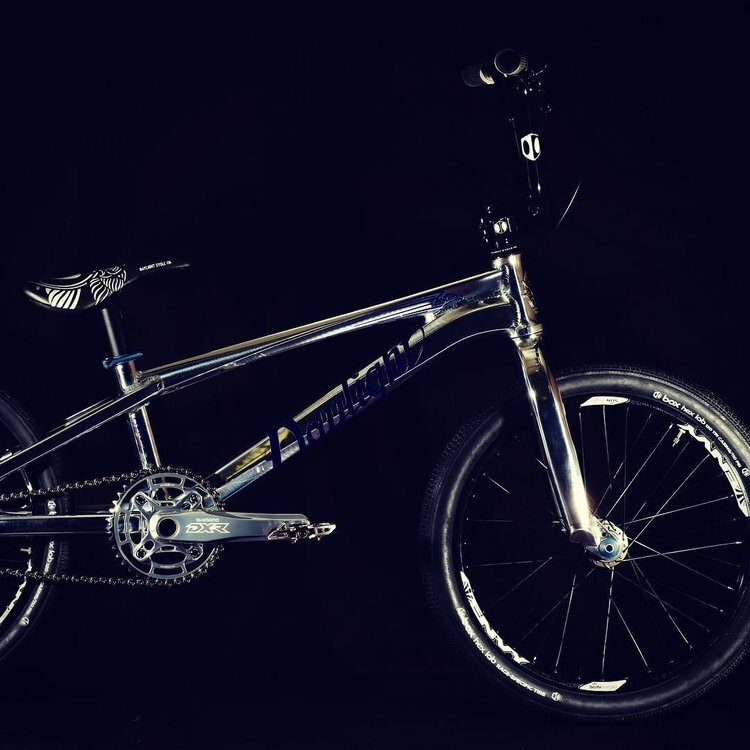 Frame includes our standard parts kit, plus your choice of drop-outs, bb bearings, and personalized name decal or paint. Daylight ArcTurnd w/ Colored Decals and Ceramic Painted/Clear Coated Parts. Daylight ArcTurnd w/ Candy Tinted Ceramic Clear Coat and Natural/Alloy Graphics/Parts.